Quirky Jessi: Are We Clear? Okay, so I think that the majority here is taken care of now, so I'll get back to posting stuff soon. I lost all the old comments, but other than that, I think all the material is back. I've been focusing on getting some work done, but that means my folder of "Things to Blog" bookmarks and my notepad with fleeting thoughts is overflowing....and in turn, that means, that when I get some of this other stuff taken care of, I'll have several new posts to add. Just thought I'd warn you. In the meantime, if you notice any missing posts, broken links, or weird crap within my blog, let me know please. Thanks. Things look good from here - technical difficulties are always so frustrating to deal with. I'm STILL wrestling with some from my move back in FEBRUARY. I know, right? That's sooooo long. 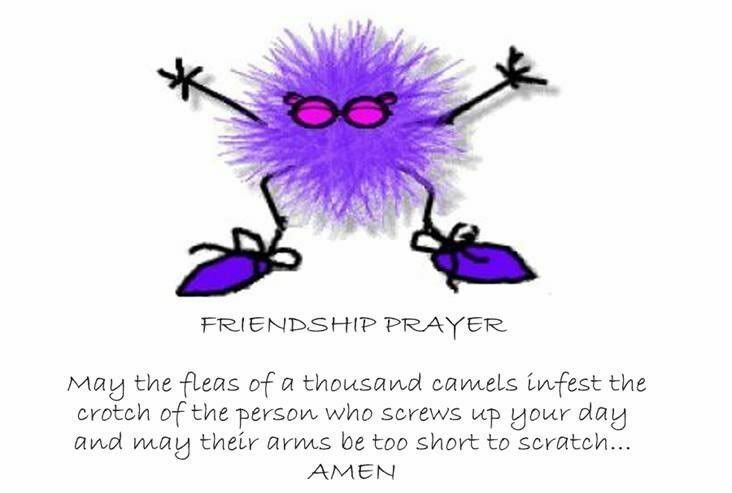 love the prayer....thanks for the laugh!